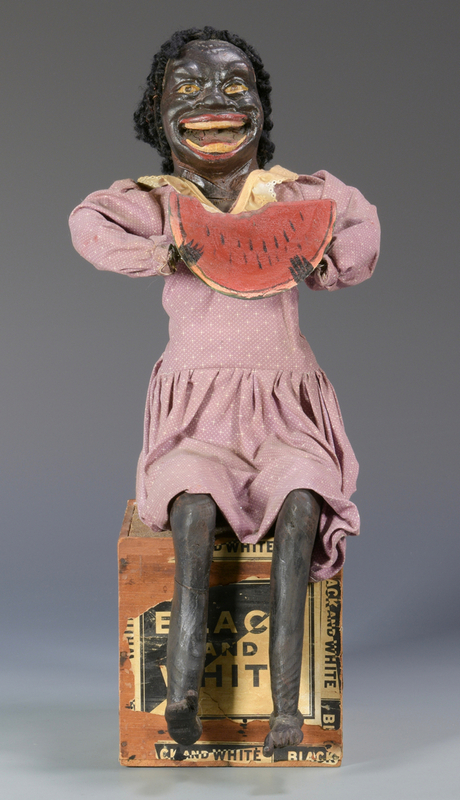 Black Americana Folk Art doll with watermelon sitting on a cigar advertisement box. 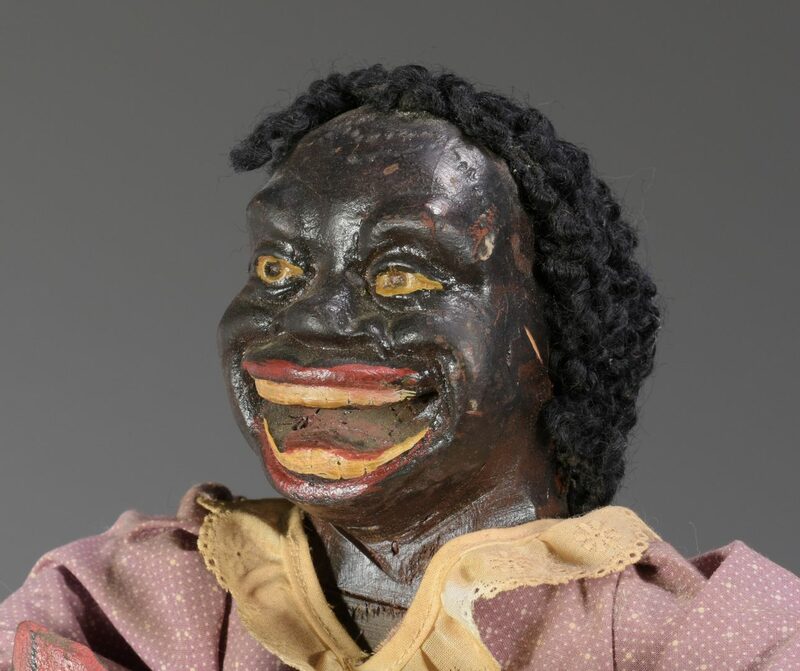 Painted composition face, wood head with coiled wool hair secured by a ribbon and body. 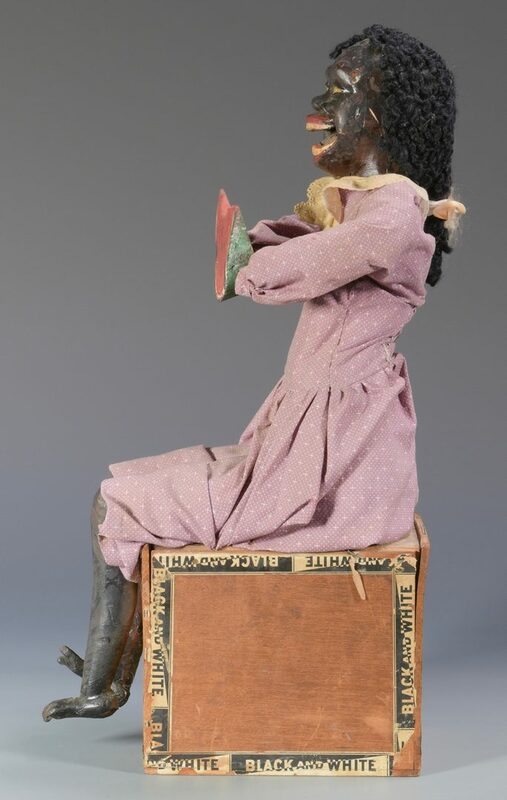 Attired in a dark pink with white dot patterned cotton dress and linen collar. 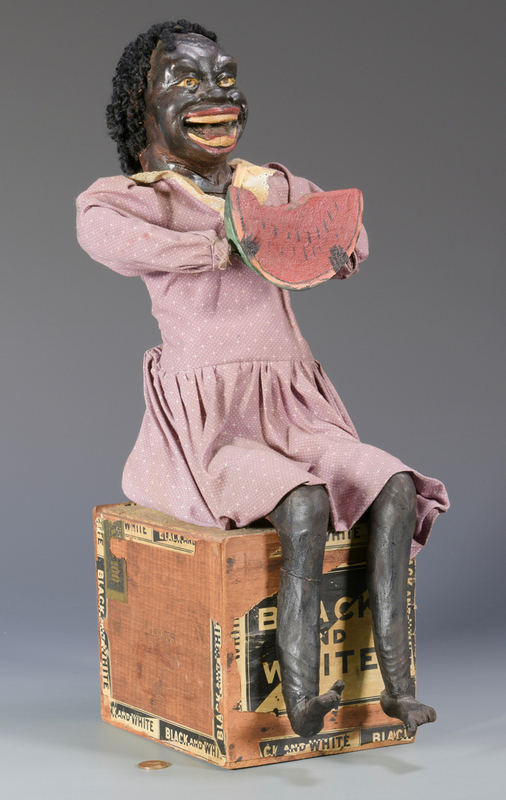 Doll sits atop a wooden box with "Black and White" cigar advertisements pasted to front and along sides, stamped "National Cigar Stands" on back, stamped "Londres" on left side. 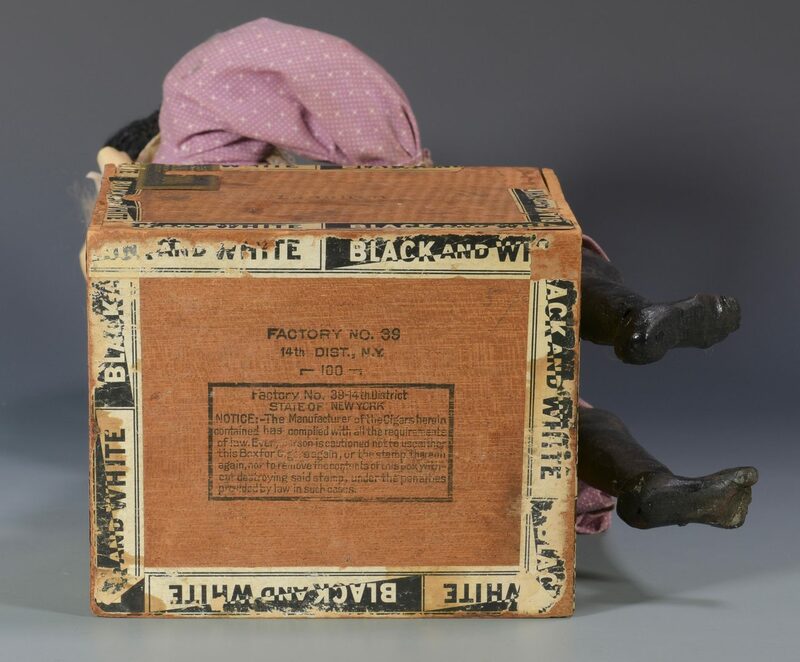 18 1/4" H x 5 1/4" W. Early 20th century CONDITION: Right leg of doll cracked below knee, spots of discoloration on dress, collar discolored, ribbon discolored and frayed, dress unevenly sewed up the back. Advertisement stickers faded and peeling with large areas missing, white paint marks on back of box.